Participating Veterans Enjoying Showing Off Their Catches. 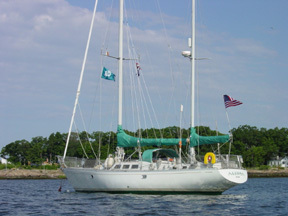 Halloween Yacht Club (HYC) 10 Seaview Avenue, Stamford, Connecticut. 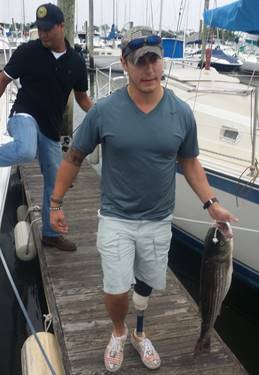 Over 200 fishermen, disabled military veterans and their families will participate in the 6th annual Hooks for Heroes Fishing Tournament presented by the Halloween Yacht Club. In the first five years, the Halloween Yacht Club-led Tournament has raised over $38,000, making it among the most successful tournaments of its type. 100% of all entry fees, sponsorships and donations will support the Disabled American Veterans Stamford Chapter 13’s Operation Gift Card project, which benefits patients at the Walter Reed National Military Medical Hospital and their families. Walter Reed National Military Medical Hospital in Bethesda, MD houses military men and women who were seriously injured or contracted illness as a result of their service. The military men and women use these gift cards to buy items they and their families need from the Post Exchange. Tournament participants will compete in two different fishing categories: largest bluefish and largest bass, both by weight. 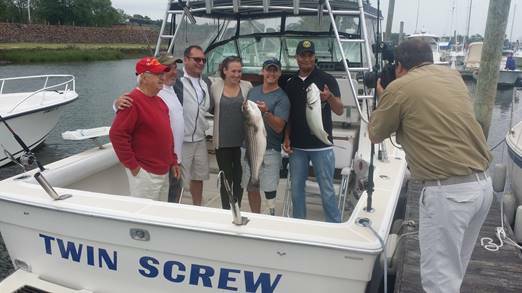 These participants will include both local veterans as well as patients on leave from Walter Reed accompanied by family, who are able to make the trip and wish to go fishing for the day.